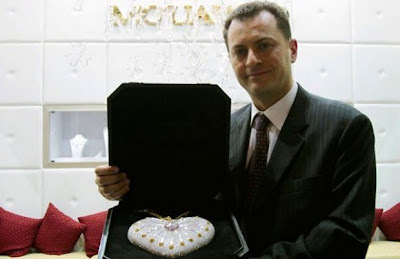 With a value of USD3.8 million, 'The Mouawad 1001 Nights Diamond Purse' from the globally renowned jewellery house Mouawad will be unveiled today by Fred and Pascal Mouawad, as the world's most expensive handbag goes on display to the public in the Grand Atrium, The Dubai Mall. Taking its inspiration from one of the world's most epic tales of romance, intrigue and fantasy, 'The Mouawad 1001 Nights Diamond Purse' was always destined to become a modern-day legend in its own right. 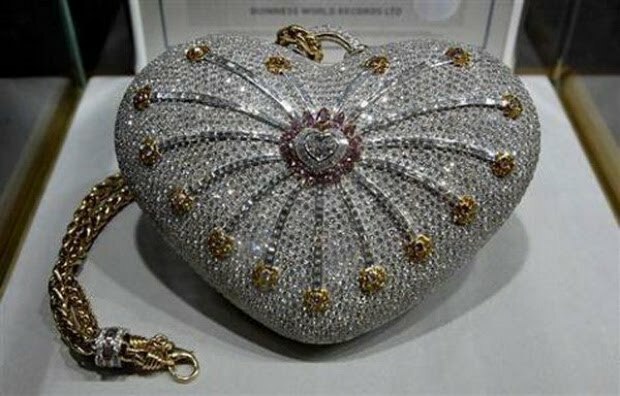 The heart-shaped purse, handcrafted from 18kt gold, incorporates 4,517 diamonds (105 yellow, 56 pink and 4,356 colorless) with a total weight of 381.92 carats. This bejeweled masterpiece was designed by world renowned Robert Mouawad and hand crafted by ten highly skilled artisans working for a total of 8,800 hours. The handbag recently received official certification from the Guinness World Records -- the global authority on record-breaking achievements, as the most valuable handbag in the world.